Quality, Trusted Reputation ~ Maximum Perfection. Welcome to Sounds of the Rockies! We are glad you are here and look forward to being the DJ service for YOUR event - any occasion or party! 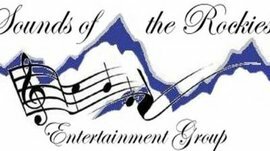 SOUNDS OF THE ROCKIES is dedicated to providing the BEST possible DISC JOCKEY (DJ, Emcee/ MC) and Event DJ Entertainment Service before, during and after every event. We pride ourselves on the quality of our service & value of our trusted reputation. Through our years of service, we are thankful that the majority of our clients are referred by friends, family, co-workers, repeat events, fellow vendors or through venue recommendations. We look forward to the opportunity to serve YOUR event needs! Disc Jockey (DJ) Entertainment for Every Occasion! 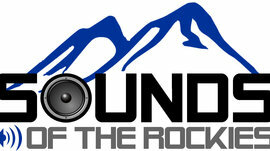 Sounds of the Rockies is your DJ Disc Jockey and Event Entertainment Services Dee Jay for Wedding (Ceremony and Reception), Wedding MC / Emcee, Top Wedding DJ Vendor, Wedding DJs DeeJay DJing in Northern Colorado, Company Events or Corporate Event, Holiday Party, Convention, School Dance (Prom, Homecoming, Sadie Hawkins, Valentine, Sweetheart), CHSAA School Dance DJs, Birthday Party, Anniversary, Sweet 16, Promotional / Marketing, or just a house party. DJs in Fort Collins, Loveland, Longmont, Greeley, Denver, Boulder, Denver Area, Denver Metro, Northern Colorado, Colorado Springs and more in Colorado! All of the images used on this site are OUR actual event images! Thank you to the wonderful photographers, staff and amazing clients who share these with us! Please ask for any details! Also by our FANTASTIC Employees!